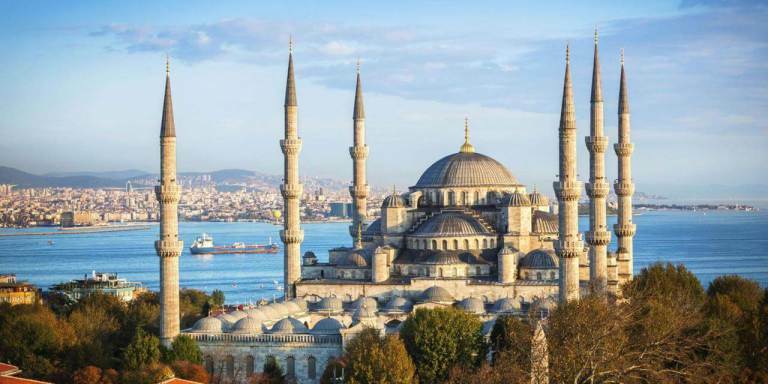 Turkey is geographically position in an area of the world where east literally meets west, in a city that is thriving, bustling and displays a beautiful mix of the best parts of the world. From the eclectic art-filled neighborhoods around Ortakoy on the European side, to the streetside fish a produce stalls on the Asian side and the teeming life around the banks of the Bosphorus River, Istanbul simply has it all and has it all in abundance. Last month we were lucky enough to be asked to visit Istanbul, along with other independent publishers to the World Tourism Forum, put together by Blogger Casting, where we were able to meet with, sit in on sessions and learn from some of the top tourism market brands and minds about not only current digital and tourism trends globally, but about just how impressive what is going on in Turkey, and how they've positioned themselves going into the future. Turkey has had a rough couple of years, there is no denying that, but the city has a heartbeat pounding louder than ever, with a population of hard working, passionate and friendly people determined to not let a few bumps along the road soil the incredible history and culture that Turkey has thrived on during centuries. We know so many people desperate to visit Turkey, but worried about the safety, to which we say - absurd! We would not have felt safer, more warmly welcomed or more energized about all there is to do and see in the city, and we only got a taste! This is why we are already planning to head back next month and film a full "48 Hours in Turkey" episode so we can further explore all areas of this amazing city and get outside of Istanbul as well. We were so impressed by the little that we saw and cannot wait to get back and do in-depth, behind the curtain and dive into what it means to be Turkish, learn how to cook the traditional meals, hear the stories of this amazing city and meet the people who call Istanbul home. Istanbul is such an amazing city because it is the literal meeting point of the European and Asian continents, connected by a bridge, with completely different vibes to both sides. In no other city in the world do you get a mix like this and getting lost in the beautiful back alleys and streets of each side is equally fascinating. I have always been interested in the meeting and mixing points in the world between races, religions, regions and continents and nowhere is that more perfectly displayed than Turkey. Mosques bellow out the daily prayer call as art festivals dot the streets and happy hour specials are flowing at the nearby pub. Restaurants serve up everything from traditional Turkish food to exotic Thai and Caribbean dishes, truly something for everyone. Istanbul was simply much more than we could ever explore in the short amount of time we visited and will be just the third country we have ever returned to twice. We cannot wait to film "48 Hours in Turkey" and genuinely hope to inspire many of your to do the same in 2019!